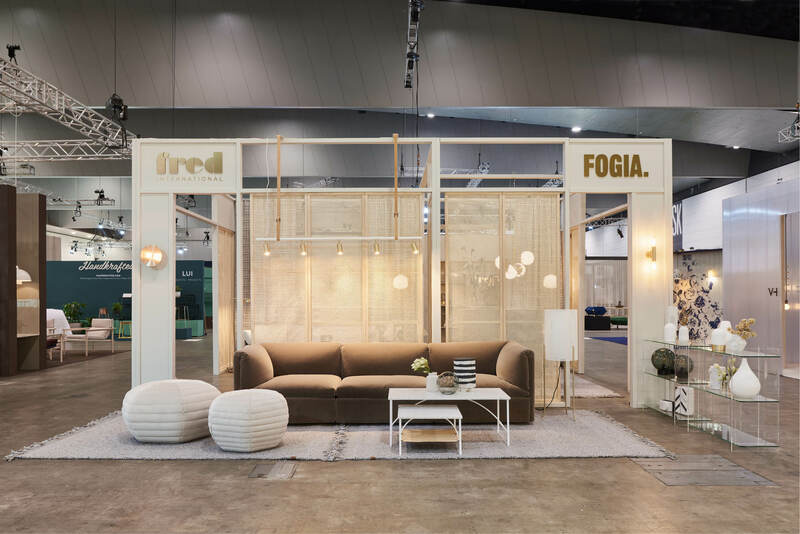 For their second year at Denfair, Fred International showcased the very best of the Fogia collection launched at the 2017 Stockholm Furniture Fair. 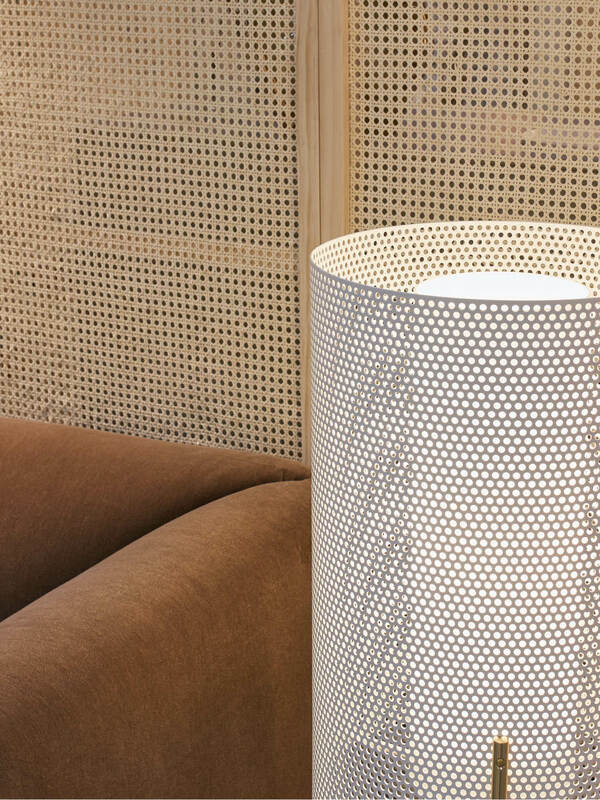 Taking inspiration from Fogia’s commitment to honour timeless quality and craft, woven cane was selected as the hero material. The challenge was taking a material traditionally used in furniture handcraft and translating it into a built environment. 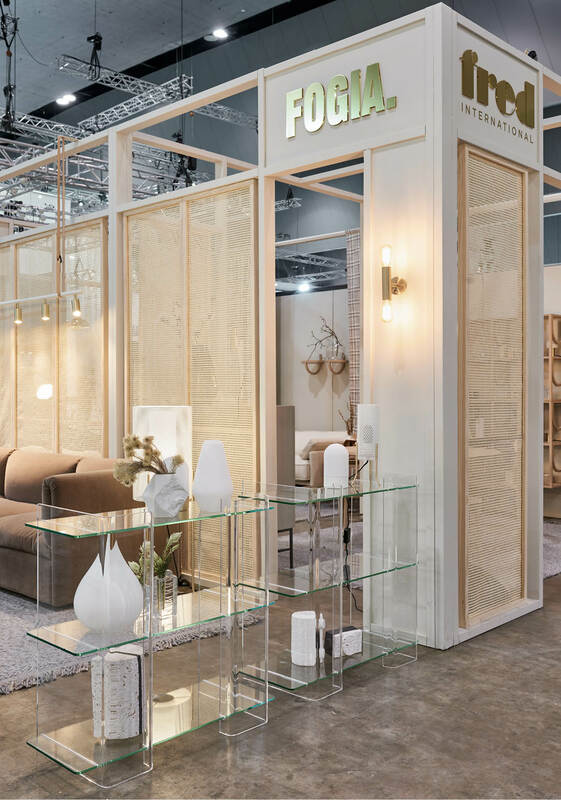 Avoiding a conventional trade fair stand design, the 6×6 metre footprint was segmented into a series of 3 connected rooms, using the woven cane as the singular material to form the room partitions. An individual furniture setting showcased in each room encouraged passing crowds to pause and take refuge within Fred’s welcoming home. 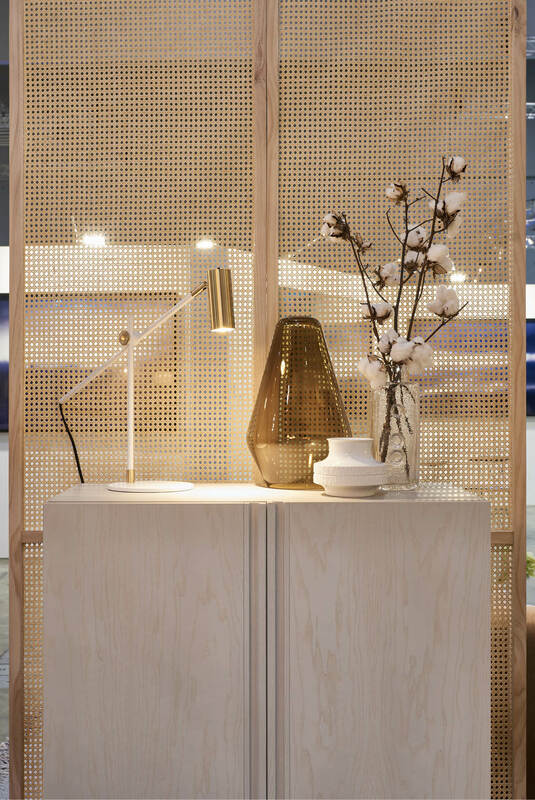 The woven cane panels retain a sense of craft and are of a scale that blurs the line between wall and room divider. 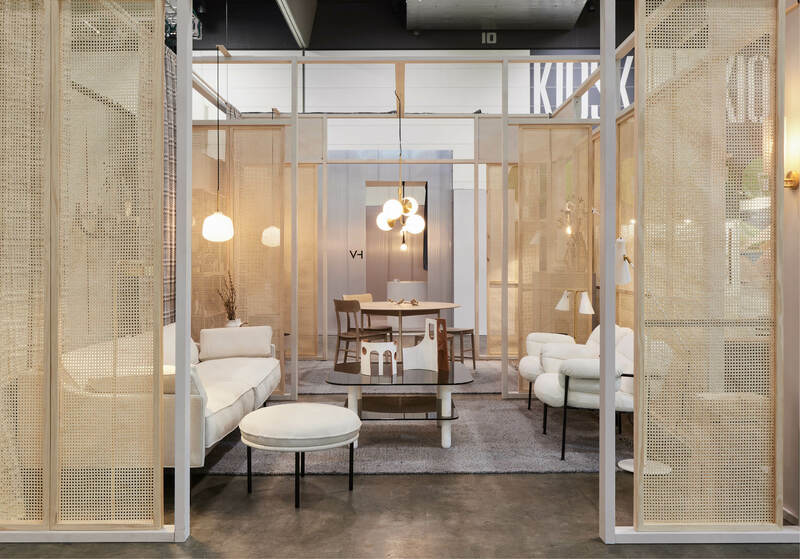 The soft, enveloping effect of the panels was a stark contrast to the trade hall environment. To further enhance Fred’s presence, the partitions were extended above neighbouring stands with gold signage shining a flickering beacon. 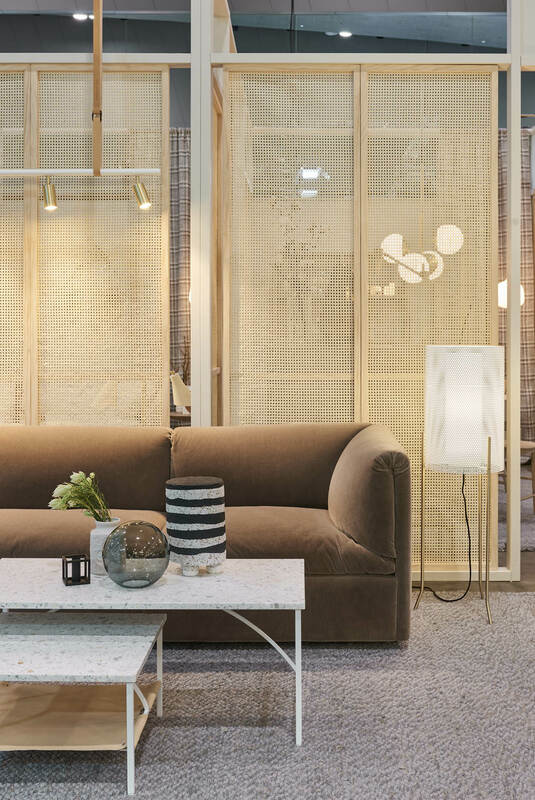 The materiality of each furniture piece was carefully selected for tone and texture and complimented with decorative lighting by like-minded Scandinavian brand, RUBN. 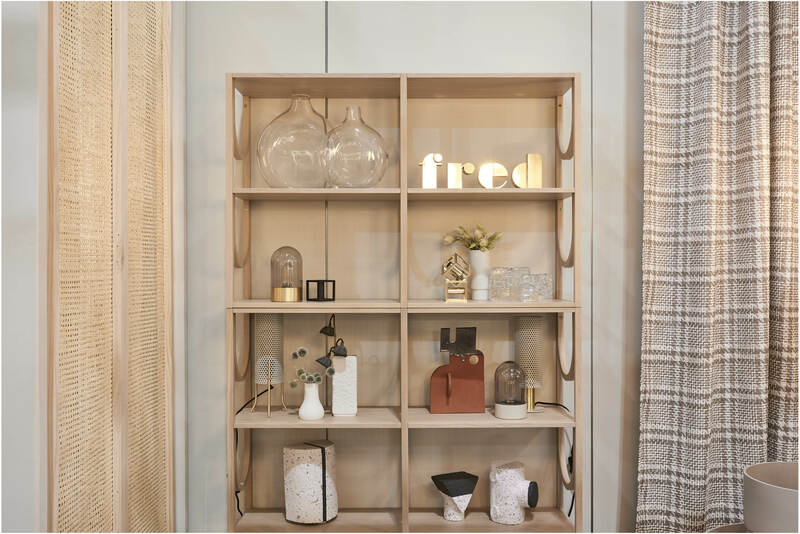 A layering of sculptural objects and an edited array of dried foliage and seed pods further emphasise the warmth of a Scandinavian home, bringing the Fred story to life. a softening effect.’ –David Harrison, Design Daily.